I've always found life in the Middle Ages and Medieval years fascinating. Also of interest was the Black Death, the Plague that killed millions, supposedly from flea bites. And lest you think this doesn't apply to today or couldn't happen again? Scientist extracting DNA of the bacterium yersina pestis from the teeth of some of those 1300s era skulls found that the preserved strain of bubonic plague was no more virulent, and a near-perfect match, for a recent outbreak in Madagascar that killed 60. Old diseases never die, it seems. They just wait... or mutate. Or wait for someone in some lab somewhere to dig it up or experiment with it... familiar zombie fodder. See? 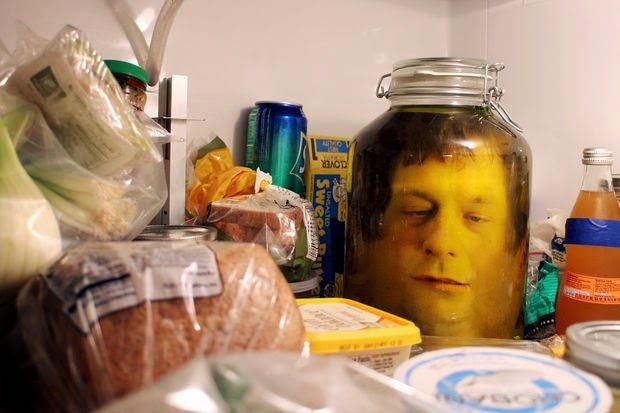 Who says that zombies eating brains isn't a smart thing to do... at least if they're full of omega 3's. As a human, of course, you don't want to do that. Not, unless you're Hannibal. But you can go one better. Yes, that's the weird connection for today. 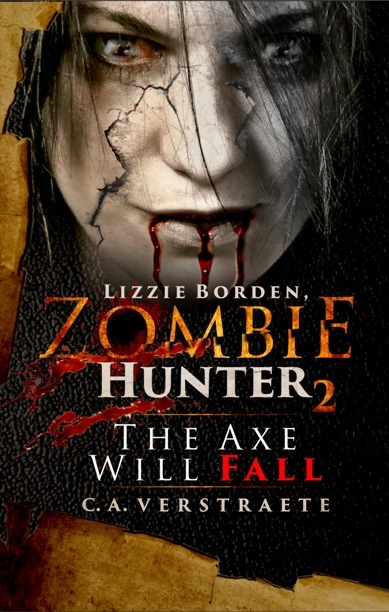 What's a zombie writer without a zombie artist for her book covers? I bring you my cover artist, George Silliman. George has done both covers for the zombie exterminator books. Welcome, George! To start, can you tell us a little about yourself? I am a 39-year-old self-taught artist living in New York. My specialty is horror but I do venture out into other genres from time to time. I confess to having an endless passion for drawing and painting. I'm willing to try anything that allows me to experiment and further my boundaries as an artist. My fondness of horror influences every piece of my work. 1. You paint a lot horror themes. What is it about the subject matter that attracts you artistically? There are no limitations in horror. You are only limited by your imagination. I feel drawing horror-related pieces is a good stress reliever from the everyday things that can stress a person out. 2. Why zombies? What do you find the most fun about drawing zombies? This isn’t the first time I’ve been asked this question...there really is not an easy answer. I guess you can relate it to something like dressing up for Halloween. It’s fun ! Zombies are something that has stuck with me throughout my art career and I get asked to do them a lot. It’s something I never get tired of drawing. There are a lot of possibilities for a zombie drawing. 3. What’s the biggest challenge of drawing zombies or monsters? This is a good question. When working for a publisher or author I find that sometimes putting their ideas onto paper can be challenging. I also find drawing something that has a lot of action the hardest for me. 4. What would be your dream assignment as an artist? 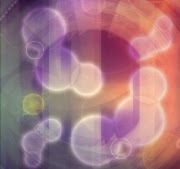 My dream assignment would be doing what I love with free artistic expression and getting paid for it. With that said, I will be drawing for as long as I can foresee regardless of pay. Art is something with in me. Part of me. Carm turned and gawked at me. "I hate to burst your bubble, but even if we find the perfect skin cream, even if we make you up so you're almost as good as before, you still have a problem." My head tilted, I stared at her in surprise. Okay, so my vision was a bit wonky. Things sometimes seemed crooked or out of whack. I figured it would take a while to correct. "Like what?" "You must know something's going on. Quit leaning. Look at me straight." "You sound like Tia now. I am standing straight." She reached over and tilted my head to one side, then moved it back. My eyeballs pinged around like the inside of a pinball game. "Hey, why'd you do that?" She stared at me. "That's the one thing makeup won't fix." I squinted at her. "Huh? What're you talking about? You lost me." "Your eyes. Actually, your right eye. It wanders." The revelation drew me to the mirror, pronto. 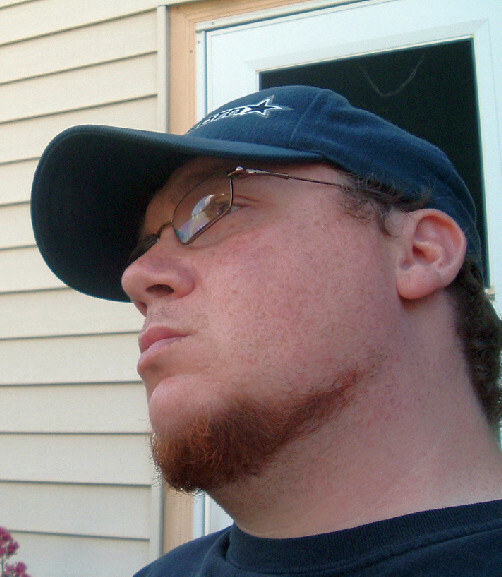 I gazed at myself, tilting my head one way and then the other. I turned back to her with a big sigh. "Wow, I really am a freak. Even more than I thought." 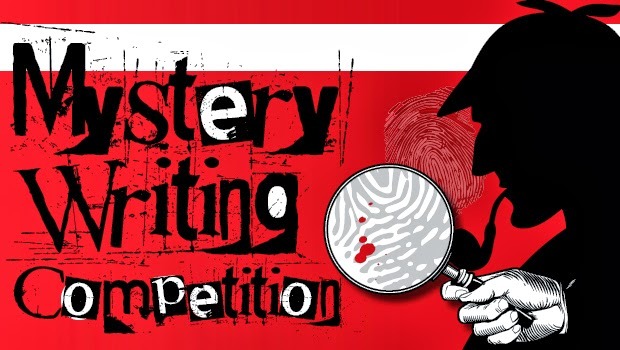 Lee Child, author of the Jack Reacher novels, along with Marcia Clark and Hofstra University Professor of Law Alafair Burke, are the judges for a Mystery Writing Competition, hosted by Hofstra Law. Submitted stories must be original, unpublished, up to 3,500 words and must have a lawyer as the main character. The deadline is May 1. - Download competition flyer PDF. First prize is $500, with $200 for second and $100 for third. 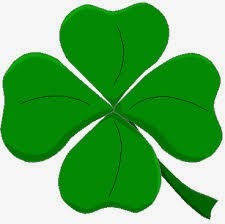 The first place story will be published on the website of Mulholland Books, an imprint of Little, Brown and Company. All authors retain copyright. Doing research is often a necessary part of writing, especially if you are writing about a certain period of time. Of course, if you're writing about zombies your research will be different. You may need to look up or ask someone knowledgeable (and should) about different weapons and how they work; decay rates in bodies; how poisons or other things affect the body; entomology (bugs that affect bodies); and all that other good stuff that fits into a horror or zombie story. If you are using a historical setting or time period, then your research adds more layers to your story. I've been working on a zombie book that also fits into a certain time period, specifically 1892. Now to make it easier on myself and as the book is not what you'd call a "historical" novel, I am not focusing on the history part except where it depicts specific events in a real person's life. As it is a dual story, I also have to make sure I add in this person's interactions and reactions to zombies in almost every chapter. The key part to writing a project like this is using materials from the period to base my story on without going overboard since this is a zombie book also. But I can give a sense of the time by making references to certain things available then - that's where the research comes in. It can be pretty interesting and fun learning new facts. You can set the time by making references to things going on then or what was available - what was the popular song or a singer of the time; what play or vaudeville show was popular; or comparing something that would be in a character's frame of reference at the time. Dropping in a few references is enough without overdoing it. For instance, here's one I found.... Did you know some of the National League baseball teams of 1892 had such odd names like the Chicago Colts, the Boston Beaneaters or the Brooklyn Bridegrooms? Or that there were a lot of suicides from morphine use in 1892? Even a doctor committing suicide? * Did you know The Pledge of Allegiance was written in August and published in September, 1892? * Did you know in April, 1892 a private army went to Wyoming to kill a bunch of cattlemen? Have fun researching and reading! What a fun trick to pull on your family any time of year! I cracked up when I saw this and also thought of the miniature applications. I'll be trying out this idea for sure! When I started this project eight months ago, I didn't really know what I was getting myself into. I knew it was going to be a lot of work, but it was a subject that interests me, so it was worth it to me. There was the chance that no one would want to publish it. Technically, this last statement is still true since I haven't received any offers, but I remain optimistic that someone somewhere will put this baby into the world (even if that someone is me). As of now, I have one chapter left to write. It's a really fantastic feeling. I can't believe it's almost done. There's still a lot of editing that needs to occur, but the hard part is almost finished. The text is going to be on the page. What a sense of accomplishment! Was this my life now? Was this what I'd become, a creature who lived on uncooked flesh—un-human? The next time the pains started, I frantically searched the room for something sharp. Between hacking coughs, I screamed for my mother. I pounded the table and walls, wondering where she was, wondering if she would hate me, wondering if she could stand what I'd become. My yells and screams bounced off the walls as I wished myself dead. Oh . . . how could I forget? Been there, done that—almost. 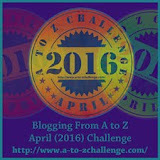 I wasn't fully dead, or fully alive, I was in-between, what some people on TV were calling half Zs—part-zombies. A black cloud came over me. I couldn't even do that right. Done gorging myself, I struggled to my feet and gaped in the mirror, horrified at the gruesome blotched creature there. Gobs of fat dotted her cheeks; her mouth and hands glistened with grease. The new me. Dry, retching coughs erupted, the only way I could cry now, as the nurses rushed in. Their voices soothing, they began their ministrations. The hot lavender scented cloths cleaned off the filth and helped calm me, at least a little. "Is this my life now?" I yelled. "Is it?" I didn't bother to hide my disgust. They worked and wiped, never staring directly at me, their eyes never meeting mine. I didn't dare peer into their faces, either. I didn't want to see their pity, or revulsion. "It's only temporary," Nurse Teapot explained between scribbles on my chart. "By tonight, your body will have adjusted." Visions of those ugly, flesh-eating movie creatures flit in my head. I didn't want to adjust. Not if I had to be like-like them. This is adorable. Guy Collins Animation has a whole series of these. Will see if I can get more information on the creator. The car lurched into another pothole, prompting Robert O'Flannery to check the address his wife Margie had written down and tossed wordlessly at him earlier that morning. He hadn't turned wrong. Three twenty-was that a zero, a six? Anyway it was Sycamore. He was going the right way. The house numbers were getting smaller, just as the houses themselves and the lots they sat on were getting larger the nearer he came to the lake. His anticipation, along with his suspicions about his wife's motives, grew during the drive. She'd given him some decent leads in the past, but she hadn't shown much interest in his work since the real estate market had started bottoming out. He didn't want to admit that she hadn't shown much interest in him at all lately, except to throw a coffee mug at his head for coming home flowerless on Valentine's Day. Given their rocky relations, her sudden generosity was odd. The Returned - Familiar Zombie Theme? In The Returned , the world is post-zombie and people are living via anti-viral drugs. Thanks to modern medicine, those who are bitten but caught in time can get a daily shot to stop the transformation into zombies. 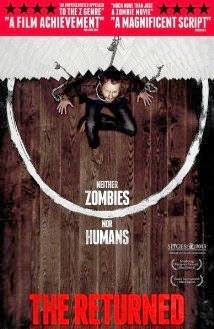 It's a human-zombie limbo called The Returned. I have a slightly different twist but.... doesn't it sound familiar? Last weekend, I finished chapter 8 of my nonfiction zombie project, which looks at ways in which humans can survive the zombie apocalypse. Turns out, we probably won't. Now, don't get me wrong, I understand that zombies are HORROR and they aren't supposed to paint a pretty picture. They're supposed to be scary. But my point is, there are several other horror films out there that are scary but have a small kernel of hope in them. Since I'm well versed in slasher films, those are the examples I'm going to use. Slasher killers are out to kill. That's their only motivation for living. But at the same time, they don't completely destroy the world, and there is a tiny bit of hope that they can actually be defeated. Sure, they come back, but at least the Final Girl has her moment of triumph (no matter how short lived it is). We don't get moments of triumphs with zombies. We can win small battles and survive for another day, but the entire world has been destroyed. Slasher killers inhabit one small part of the planet, so if you don't want to be hunted by them, you move to another area. Zombies are everywhere. There's no hope in destroying them completely. As long as there are humans, there's the threat that they will exist. Film after film after film portrays this depressing destruction. There is absolutely no hope for the humans because not only do they have to fight the undead, they are constantly warring among themselves. I'm guilty of portraying this situation myself. In my YA books, I focus on the horrible things humans and zombies do with very little chance of redemption, but I also wrote a novelette that I think is full of hope (you can find it here). The lack of hope and salvation starts to get to you after a while. You want the humans to pull their heads out and figure out what it means to be nice. You want them to be happy. You want them to defeat the zombies. But that's the point. The films show how bad we as humans can get. They show how destructive and evil we can be. Thankfully, not every single one of them is fatalistic, there are a few that offer up hope, including Warm Bodies and maybe the ending of Land of the Dead, but most of them follow the incredibly depressing, humans are screwed formula. I'm not saying they should change their format. I'm a huge fan of zombie films and their traditions. I'm merely pointing out my observation. But if they want to change, maybe they could add just a touch more optimism into their story lines. The biggest word you've ever heard and this is how it goes! Jane: But it's just seven words strung together! Poppins: Don't be impertinent, Jane! But when you've movedon to Stage 2, the agony will stop. Your former life is naught. Their brains will fry and they will die and come back a zombie. Those first lines are what hook a reader. So, for a change of pace, I'm sharing first lines of zombie and other horror novels or stories from different authors, including myself. Stay tuned for more to come. I was nine when I saw my first ghost. Amelia Gray is a cemetery restorer who sees ghosts. In order to protect herself from the parasitic nature of the dead, she always held fast to the rules passed down from my father. But now a haunted police detective has entered her world and everything is changing, including the rules that have always kept her safe. The cat had the uncanny ability of seeming to be in two places at once, and it appeared logical to the man that he should name it Schrödinger. 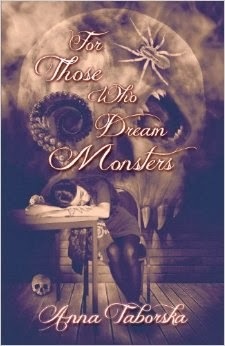 For Those Who Dream Monsters contains 18 short stories. The first story, Schrödinger’s Human, charts the rise and fall of a psychopathic physics professor who falls under the spell of an extraordinary cat which he names Schrödinger. Under Schrödinger’s satanic influence, the professor soon graduates from being a peeping tom and an animal killer to becoming a cannibalistic murderer of young women. A virus. A freaking virus. I'd been sick before, you know, measles, mumps…kid stuff…but not really sick. Funny how the most important or memorable moments of your life are bookmarked between the ordinary. That's how it was the day my life changed—forever. In GIRL Z: My Life as a Teenage Zombie, 16-year-old Rebecca Herrera Hayes finds her life changed when she's infected with the Z-virus through an accidental scratch. Now as a part-zombie, she must cope with weird bodily changes, a strange new diet (no, not that! ), and prejudice as she struggles to fit in because of her new condition. 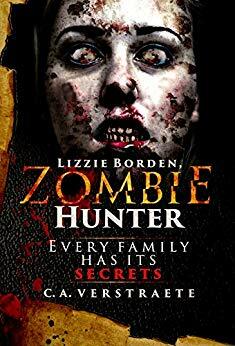 She finds strength in fighting off the full zombies while protecting her family and friends, and hopes to find something to stop this deadly transformation . . . before it is forever too late. Like 'em or hate 'em, reviews are the barometer for a book. They're subjective, of course, as what one person likes, another may not; what works for one person, may not work for another. That's to be expected. We all love the reviews from people who like/love our book, but it's also interesting when you get reviews from readers and reviewers who take the time to tell you what worked for them or what didn't; again subjective, but also valuable in that it provides insight to the writer. "What I liked about Girl Z was the originality of the story. 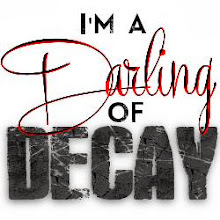 Sure I've read Zombie books from an infected persons perspective but usually the character is trapped inside themselves having to deal with their Zombiefied state while never being able to express to others that they are still human inside. Girl Z on the other hand literally makes the main character a Zombie rotting body and all. Becca has to deal with her cravings, her body slowly decomposing around her and the stigma from her peers of being one of the living dead. It was quite refreshing to read." I laughed at her comments about Becca's diet (even if she spilled the beans so to speak as I haven't really revealed what she eats). She thought it too much; for me, it was a personal preference, I guess. I thought it would be weird, odd and kind of funny. 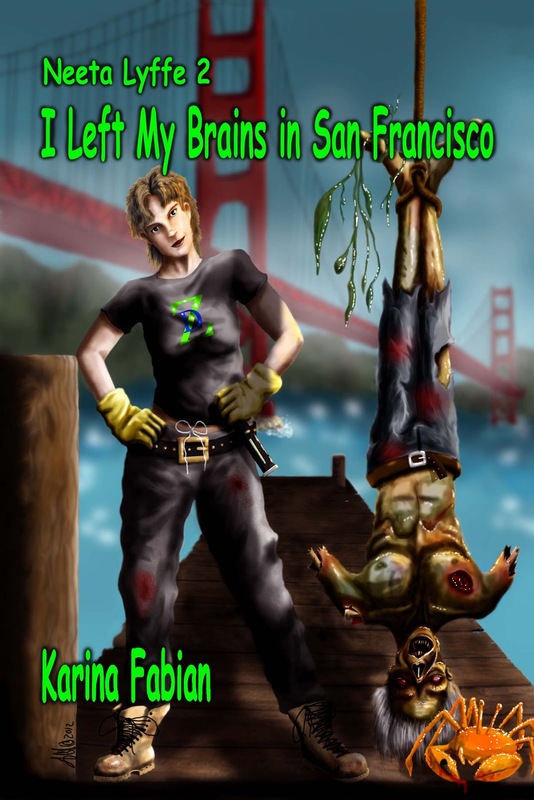 As Becca doesn't eat brains, she has to eat... well, something, and why not make it kind of gross and monotonous? Isn't that what zombies usually do? Zombies - yes, I guess I'm a "zombie lite" writer. I don't overdo the gore. I like a little or just enough but that's me. I did have zombies appear in most sections - at school with Becca (part-zombies with their own problems, especially the males;) on the road, at a friend's and on the way to and in Chicago; they were in most of the important scenes. To me they fit without going overboard on making it a full-blown totally apocalyptic world which she also mentions. My world is one where things are getting cleaned up, the full zombies are getting taken care of and part-zombies are part of that world. The part-zombies like Becca still face prejudice and fears, giving Becca something else to deal with. It is mostly Becca's story. Should Becca's aunt have let her leave the hospital -- at all? Becca's world is one where drugs are offered as treatment. They may or may not work, but Becca is young and hopefully can fight off the effects and prevent the full Z disease from taking over. That is something she fears. Is Becca's family too nonchalant about the change in Becca's life? Since Becca is a teen I didn't want it overly maudlin or too dramatic. She's still part-human yet too and had to have freedom to try to live. So her family is close, yes, but not hysterical or overly cloying. This could've been handled many different ways, I'm sure. 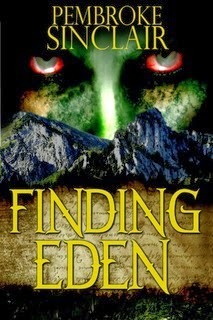 The great thing about a review is it gives you something to think on and consider when writing a sequel. It is indeed food for thought and much appreciated. Some suggestions I will keep in mind as I work on part two. 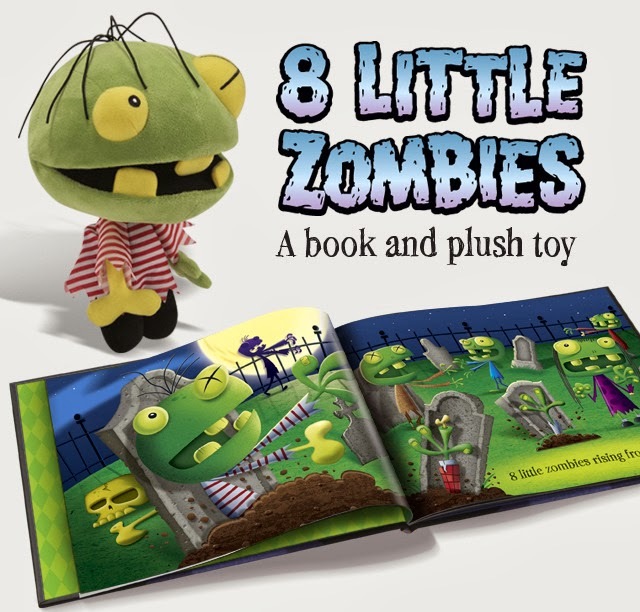 Cute "Eight Little Zombies Kickstarter" is looking to raise $10,000 to produce a plush zombie doll/toy and a 40-page hardcover book fashioned after the kid's song Eight Little Monkeys. Except this time it's "Eight Little Zombies rising from the dead. One got shot and lost his head..."
The book apparently has Illinois references too. Check out the Facebook page. The toy/book package is $30, $25 off in the Kickstarter. The Kickstarter ends March 30 at 4:08 Central Time. I recently read an article about how zombies are taking over academia. It talks about how zombies are being taught in college classes as metaphors for social concerns. I, of course, totally believe this is the case, and since I'm trying to get a nonfiction book published about zombies, I thought it was fascinating and exciting. However, not everyone thinks this is a good idea. Zombie films are notoriously gory, so teaching it in high school, which some people have, upsets parents. Heck, it upsets some parents at the college level. Other professors also think this teaching subject was ludicrous. They don't believe the subject matter is appropriate for higher level education. When I was an undergraduate, the professor who later became my thesis committee chair taught a class about horror and science fiction films. In it, he mentioned that ALL movies make a comment about society. It doesn't matter if it's a romantic comedy or a Disney cartoon. But he said that if you really want to know what stresses society out, you have to watch the horror films. I understand that not everyone enjoys horror. I understand that zombie films can be overly gory and hard to watch, but they still have an important message. There's a reason they strike a nerve with the public, and that's the point. They're supposed to make us look at ourselves and question what we do. I've always been a champion for the "underdog" movie. 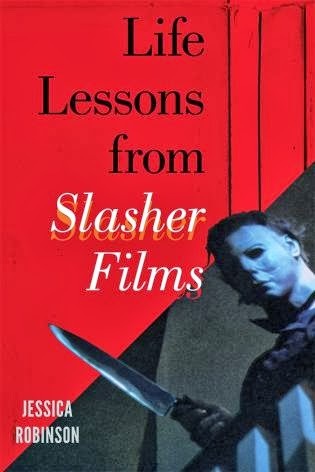 My thesis and my nonfiction book was on slasher films, a genre that has been condemned by many. I enjoy reading between the lines on these films. I love that because they are "low brow" they can make comments on society that other films might be afraid to. They get written off because they aren't mainstream, but they also have some of the most honest comments about society in them. The great thing about college classes that involve zombie films is that they are probably electives. If it offends you, don't take the class. But don't judge others who enjoy that kind of thing. They may be the ones who have to save you when the dead rise. 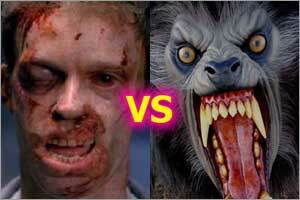 New Virus Resurrected... Will Scientists Create a New Zombie Threat? Scientists apparently have resurrected a 30,000-year-old virus from the frozen tundra of Siberia. Yes, that old. And while they say that the plithovirus is only a threat to amoeba, never say never, right? Scientists in the lab have long been horror movie and book fodder back to Mary Shelley's Frankenstein, especially when there is still that possibility of a virus jumping species. While scientists apparently have been harvesting the permafrost and ice in Siberia, according to the New York Times, for "decades" without signs of any infection, that doesn't mean it cannot happen. Just that it hasn't. Yet. I'm of the mind that people mess with things they often shouldn't only because they can and because of the lure of the unknown. Who wouldn't want to see a baby mammoth walk the earth again? Who isn't curious about what ancient flowers and plants looked or smelled like? But just because they can, does it mean they should? Because, you know, the inevitable often happens. Think Jurassic Park come to life. Think odd diseases appearing, or maybe viruses mutating and connecting with already growing antibiotic-resistant strains. I'm not the first author to ponder the implications. 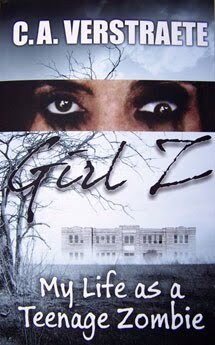 Without getting into all the scientific explanations, I blamed a strange, mutated virus escaping from a lab for my version of the Z (zombie) virus in my book, GIRL Z: My Life as a Teenage Zombie. The nice thing? It's fiction. But how long before maybe, it isn't? * FAST DEADLINE! 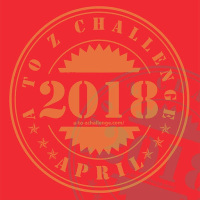 Just saw this: Zombies in Japan flash fiction - Deadline Mar. 15. 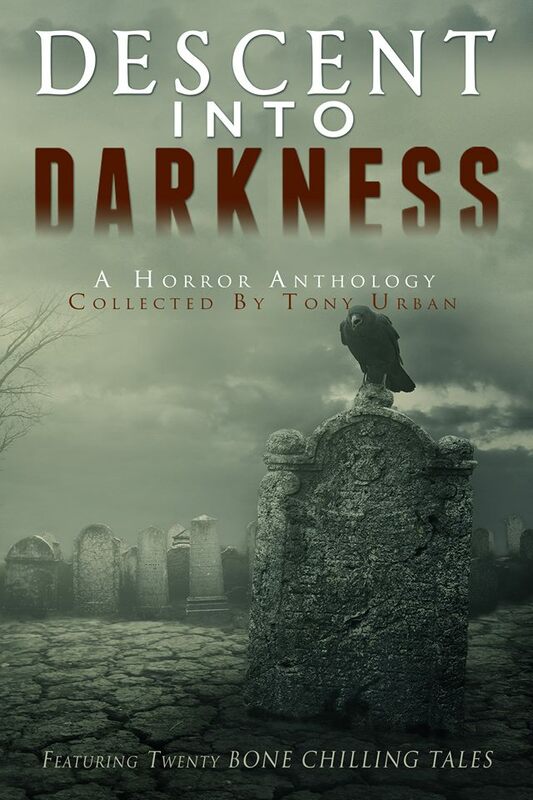 Flash fiction, 150-1,000 words from Dreamscape Press. No pay. 2,000-6,000 words. Pay to be determined. 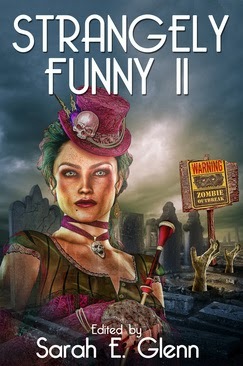 ** Mystery and Horror LLC is looking for funny (Zombieland, Love at First Bite-type) zombie stories for Strangely Funny II anthology. 2,000-6,000. Pays print copy & $5 advance on royalties. Deadline: May 1. ** Zombiefied II from SkyWarrior Books - 500 to 7,000 words. Nonfiction, fiction, poetry. Open to most genres. Ebook. Pays: share divided among authors, pays twice annually. Deadline: May 15.